The mod is not compatible with newest edition of MT, use only versions with this mod before MT perk tree. I strongly recommand to download LOOT for load order instead of BOSS, LOOT is much better. As stated in description, when you installed the new mod you can go to Debug menu of MT, and cure->reinfect yourself with werewolf/werebear beast blood. If you dont see changes in skin, please UNTICK the "Use the base Skin" in MT MCM's menu under Werewolf/Werebear Skins! Before posting any bugs, please READ THE DESCRIPTION and README file in the archive or README on the mod's site! If youre too lazy (With Tales Of Lycanthropy solution). INSTALL the Tales Of Lycanthropy, cure yourself with in game menu system (Ancient Silver Ring) or if you have MCM version use it! Cure yourself 2 times so all the werewolf spells/MGEF/scripts stop working then reinfect yourself! Moonlight Tales Solution (for same problem if it occurs). I currently have a problem. I dont know if you have heard lately but there have been many people getting stuck in werewolf form. I am one of them I dont know why but i am stuck and i cannot use any howls. I have tried as a human using ML Mod Menu to deinfect mysef> save (as a new Save)> Relod> Reinfect myself but it still does not work. Please reply back to me as soon as you can. 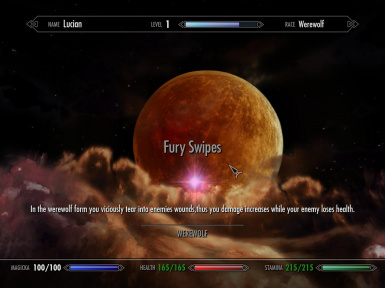 Werewolf Mastery doesnt support Moonlight Tales anymore, its not my mod's fault and MT's its werewolf masteries*. Werewolf Mastery does support moonlight tales. There's a thread sticky in Werewolf mastery that tells you how to install it. I use all 3 mods with no issues. 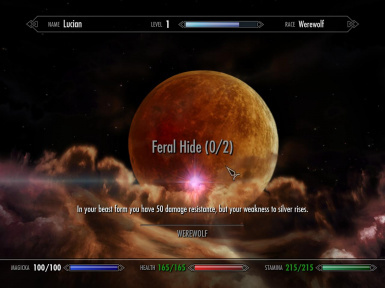 I use Moonlight Tales and Werewolf Mastery and use the updated combined ESP file and haven't experienced any issues so far (I'm not running your mod yet). 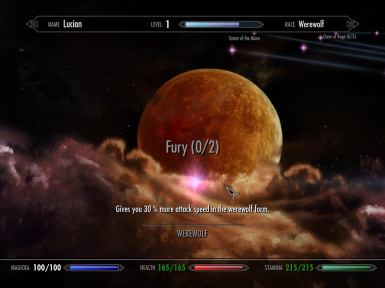 So is this mod compatible with the Moonlight Tales/Werewolf Mastery combo or not? With MT yes with Werewolf Mastery im not certain because WM has its own perk tree also which can cause balance issues in terms of gameplay or bugged experience, didnt tested it with WM unfortinetly. How do I update from version 1 to version 3? do I have to install every other update till 3? the process you described to update is the same for what I want? 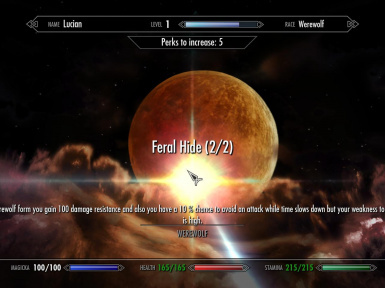 Cool mod, by the way, its a good improvement from the dissapointing dawnguard werewolf tree. No install core module (main file) then update and youre good to go. Werewolf Mastery is no longer compatible with Moonlight Tales. Spwned has explicitly said this via his sticky posts & on the file downloads page itself. Read the description on the MT mod page for more info. Peace. It is compatible but not with newest version of MT (2.33) its only compatible with 2.05 version of MT, i think we both know who's wrong here and who's made a mistake. It is compatible because it uses MT's skin system, you can choose to not take werewolf evolution perks at all and still go with MT's own customization system. Oh yea well...i'll release tomorrow optional version without automatic skin system then...but i can ask you also this: Why you dont play BR like its indended? And if you want i can just modify the script and send you so you can get automatic skin/s you want ? look, it's not about strictly me. I was already using another perk mod, i found yours interesting and worthy and decided to try it ! It's about versatility! 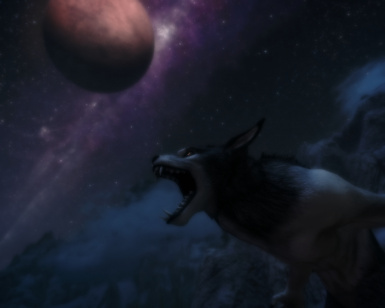 You have good ideas, you have the kindness to share your mod, some other guy has good ideas (moonlight tales) so i see no reason to be a limit .Not to mention, let's say you get bored to your current werewolf skin, so you want to change it (i am positive others think of it too) why not to be able? Oh by the way, when i installed your mod the first evolution perk was already "on" so i had no option, but still, why not to evolve regardless of skin? Well as i stated in description, with each werewolf rank skin changes so i dont think someone will get bored by it/them whatever. But yea i agree. 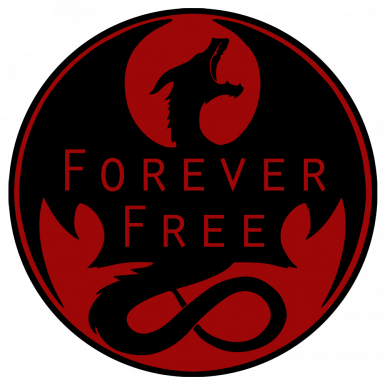 The first perk is available from day 1 as a werewolf so you get it free right away when you get werewolf blood. 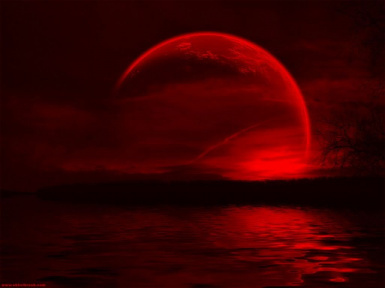 As you say in the description: "Full customization (MCM) for players who want to customize Bloodmoon Rising, for their own playstyle", so my "proposal/request" can be an option too! ( i really like this perk against undead!!!!!! Yea well ill do MCM later on, im kinda exhausted now xD. There isnt perk vs undead its a sub ability of Fury Swipes perk, get that perk and you will get that feature also. Since i installed this i have a bug with transforming using beast form, the equipment i wear doesnt disappear and i cannot move, the hands are also visible in the claws as well. 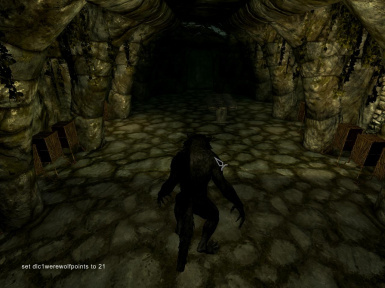 I am using the latest version of Moonlight Tales and the latest version of Bloodmoon Rising, yet i am getting a crash when Farkas first transforms and shows you that he is a werewolf. Any help or solutions? NOTES: brand new start with fresh installed game. No old files at all or scripts. 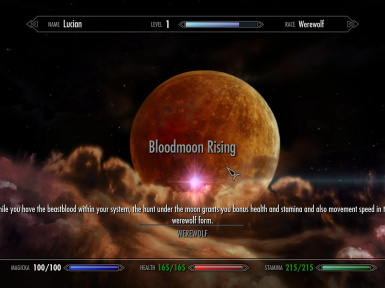 Is Bloodmoon Rising compatible with PerMa and Requiem? With PeRma yes with Requiem no. Actually it works fine with requiem so long as you put it below requiem in the load order. 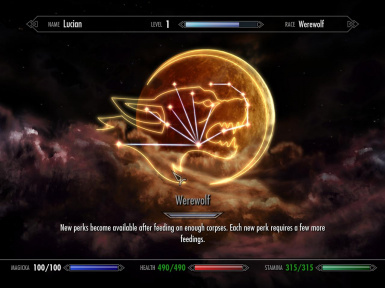 All requiem does to werewolf perks is tweak the numbers a bit, the general effect is still the same. 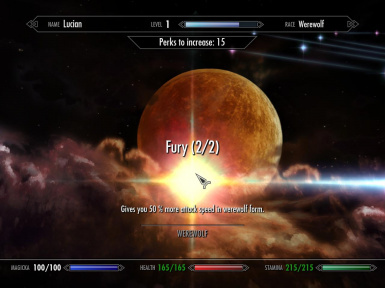 Loading Bloodmoon Rising after requiem will yield the same results as using it in a normal game. (you will however still be penalized in terms of speed by the mass effect system but really the slowdown is minimal considering all the power you get this way). 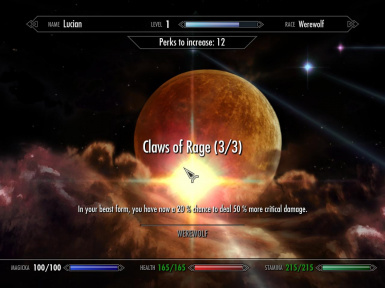 I would also heavily consider the power of these perks before using it with requiem, many of these perks render many otherwise hard bosses obsolete so if your looking for something "balanced" this isn't the mod to use with requiem. Thank you I appreciate the reply, I wish you could have added the MCM menu support to this mod it would have made it perfect. 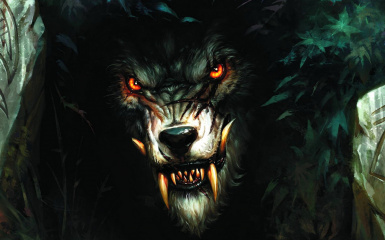 Any plans to make known werewolf NPCs transform in combat (when not a follower)? Hey, I don't know if anyone else has encountered this, but this mod keeps overwriting the werewolf skin changes from moonlight tales, making it so you cant customize the look of your werewolf. *facepalm* ignore this, red the description, I know what's going on now....sorry for useless post. 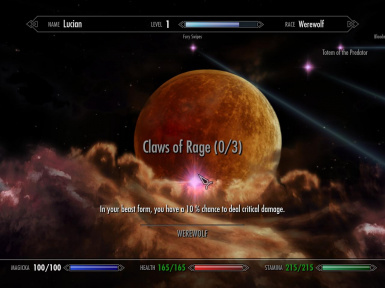 I take back my facepalm, this mod is incompatible with the skin changing system from moonlight tales, it changes your skin back to Bloodmoon's default skin every single time. I have found nothing in the description talking about how to fix this, nor have I been able to fix this myself. I have tested this both on my heavily modded set up as well as vanilla with only Alternate start installed, and each time I try to change the skin, even when I am transformed, it will revert back to the Glowing Green Eyes, The Vanilla body, and Grey Fur Color, it never stays with the selections I made, which is insanely frustrating. If you have any suggestions on how to fix this, I would love to hear them. Read the description again, and while I understand what is going on now, I am still quite pissed. I liked the original moonlight tales because I could change my werewolf into whatever I wanted, but now it seems that my change is locked till I get certain perks, with seemingly no way to unlock any of the other skins besides the ones provided by those perks. then again, I may be wrong, so I will play through it and see if this mod can prove me wrong, but if not, I am uninstalling it and sticking to Moonlight Tales only. ive been having the same problem. its been a long time since this is posted but perhaps youve found a solution? Just a note for anyone running this mod alongside RND. If you want RND's satiation bonus from feeding, load this mod before RND in your load order. I suppose it should be a common knowledge kind of solution BUT it took me longer than it should have to notice where the problem was. Is this compatible with Tales of Lycanthropy - Werewolf Overhaul? Feeding on corpse with perks do not gain well rest blessing. Although it's not a big problem since well rest bonus only provide faster learning but I wonder why the perks won't work. By the way, it's a nice mod for werewolf gameplay. Same issue, no news about that ? Well, i was trying to figure out , why my summoned werewolves were attacking ME. Lo and behold it was USLEEP. So i removed it . Now this great mod working as it should. can you explain this to me !!!. Compatible / useful together with 'moonlight affects brightness at night'? In the requirements to advance to the next rank as a werewolf, you stated "x days as werewolf". Now....what I want to know is: does that mean "time spent in beast form" or simply "days passed since you recived beast blood"?